While high-profile scandals make the headlines, it’s important to remember that organizations of all sizes have employment practices liability risk, even those with only a handful of employees. To address management liability risks for small businesses across the US, NAS Insurance(creator of the original employment practices liability product more than 25 years ago) has launched a 3-in-1 solution for companies with up to 50 employees. The management liability policy offers employment practices liability, directors & officers’ liability and fiduciary liability all in a single form designed specifically for small businesses. The robust policy will be discussed in detail by Michael Kinsley, AVP-Management Liability at NAS, during NAS’s Management Liability for Small Business webinar on Wednesday, February 27, at 11:00am PT. “We launched this product because we recognize the opportunity to write some business in an environment that would be more conducive to profit. The overall marketplace has been very competitive for many years, and it remains so, but we do see opportunities for us to come in and serve the small business customer base in a way that we have not been able to envision doing in recent years,” explained Dan Mogelnicki, national head of specialty division, NAS Insurance Services. Markets, like California, have been hardening in the employment practices area for a combination of factors. The business environment in the south-western state has been robust, prompting the birth of a large amount of start-ups and smaller companies, and expanding the risks in the marketplace. That’s one of the reasons why NAS has launched this product for private companies with 50 employees or less. 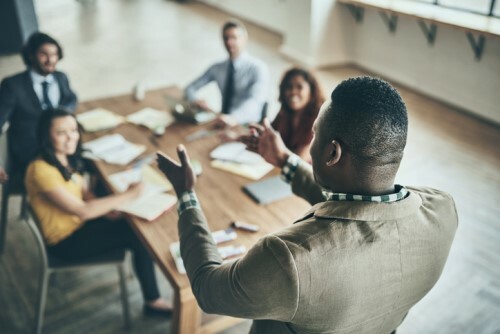 Management liability insurance can sometimes be a tough sell for brokers, especially if smaller clients are concentrated on business operations and don’t understand or appreciate that they have this exposure. Brokers working in this environment need to “play the role of the consultant” to convince those insureds that they need the coverage, according to Mogelnicki. He told Insurance Business: “Partly in response to that, we’ve developed a short video that, in a very basic way, tries to explain the need of these small companies to purchase the insurance to protect themselves. It also enables them to learn about our risk management processes, which are very important, especially for the smaller risks because they will not have the in-house personnel that will allow them to develop their own risk management departments. For instance, we have a HR hotline that they can use to relieve some of the burden of the internal administration and education of their own management. Previous Previous post: The global economy is slowing down. What can governments do about it?